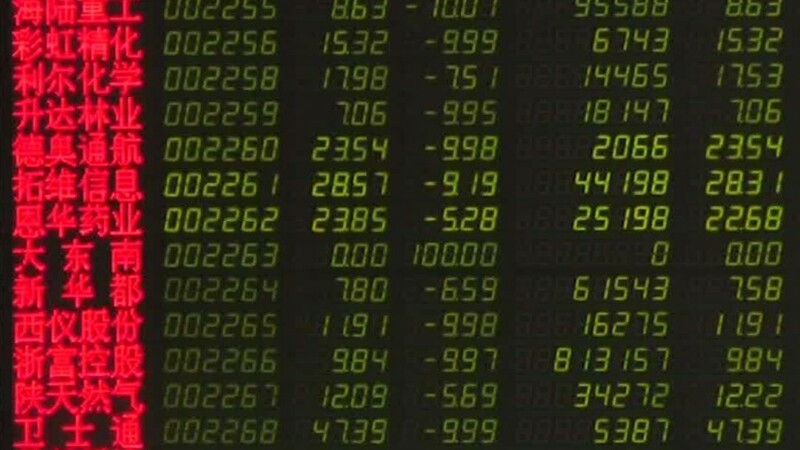 China stocks closed sharply lower Tuesday but the damage was largely contained with most major world markets staging a recovery from Monday's selloff. The benchmark Shanghai Composite declined 7.6%, while the smaller Shenzhen Composite shed 7.2%. The Shanghai index has now crashed 42% from its June 12 peak. After Chinese markets closed, Beijing launched new stimulus measures to boost the country's flagging economy. That sent U.S. and European markets higher. The People's Bank of China cut its key lending rate and lowered the amount of cash large banks must keep in reserves, a move that should boost activity by allowing them to lend more money. Economists were expecting Beijing to act to try and prop up stocks. The central bank also injected 150 billion yuan ($23.4 billion) into the financial system on Tuesday, but that was modest compared with intervention efforts seen in June and July. Markets fared better elsewhere in Asia. After starting the day in the red, Australian and South Korean shares closed in positive territory. Only Japan's Nikkei lost ground again, falling 4%. Major European indexes extended gains following China's rate cut, closing between 3% and 5% higher after falling about 5% on Monday. Confirmation of solid growth and resilient business confidence in Germany, Europe's biggest economy, helped lift sentiment. However, in the U.S. it wasn't all smooth sailing. After rallying 442-points, the Dow's gains vanished at the end of the trading session Tuesday. At the end of yet another wild day of trading, the Dow actually ended with a loss of 205 points. Wall Street also bounced back strongly after Monday's very rough session, when the Dow lost nearly 600 points after opening with an unprecedented 1,000-point decline. The focus on China has increased in recent days, especially after a key manufacturing index hit a 77-month low. But some economists say global investors are overreacting to China's economic risks. "The collapse of the equity bubble tells us next to nothing about the state of China's economy," said Mark Williams, chief Asia economist at Capital Economics. "In fact, recent data have been more positive than the headlines might suggest, with large parts of the economy still looking strong."